Mould isn’t pretty. That much is obvious. But did you know toxic mould could seriously impact the health of everyone that is exposed to it? There are so many types of mould that could be festering in your home or workplace and you may not even realise it. In this week’s blog, we’re investigating the shocking effects of toxic mould on your health, and why you need to clean up that mould as soon as possible. What is mould and how does it work? Mould is a type of fungi. Different kinds of mould have different purposes; some cause food to spoil and others can be used to create foods and beverages (such as blue cheese). Many types of mould are made up of a multicellular structure of hyphae, which are tube-like filaments. But there are other types of fungi that don’t follow this branch structure, such as yeast, which grows from a single cell. That’s right – the ingredient used to make dough, beer and Vegemite is a form of fungi! But you might be wondering: how exactly does mould reproduce and spread? Typically, it releases tiny, seed-like spores, which are then carried by air or water to new environments. While we can’t see these spores, we can inhale them. This is how our health can be affected by toxic mould. Water isn’t the only thing that mould needs to grow. The growth of mould also thrives in humid and warm environments, drawing the moisture from the air if there isn’t any water nearby. Areas with poor ventilation are often affected by mould growth, too. What is the difference between normal mould and toxic mould? The term ‘toxic mould’ can be a little misleading. Types of mould that are deemed ‘toxic’ are not actually toxic, but they produce compounds known as mycotoxins that are harmful for our health. However, even the types of mould deemed as ‘nontoxic’ can have an adverse effect on your health. While these types don’t release mycotoxins, they may be classified as allergenic or pathogenic. This obviously causes problems for those with an allergy to mould. If you are noticing health-related symptoms of toxic mould or just mould growth in general, you should book a professional site assessment. Unless you book an environmental site assessment, there is no definitive way to judge whether or not the mould is releasing harmful toxins. Mycotoxins, in small amounts, are produced as a defence mechanism for the fungi. However, in large amounts, mycotoxins affect human health. Mycotoxins are concentrated in the spores released by mould. Spore release is how mould spreads, so you can imagine how often mycotoxins are released into the air. It must be noted that there is no ‘safe’ level of mycotoxin. Often, identifying mycotoxins implies that there are more that have not yet been detected. What are the types of toxic mould? Certain types of mould thrive in different environments and have different effects on your health. For example, penicillium thrives on water-damaged furnishings, such as mattresses, wallpaper and carpeting. Constant exposure to penicillium can cause lung inflammation and sinus infections. In contrast, stachybotrus atra is often found in areas boasting high condensation or constant wetness. Such places may include leaking pipes or taps. 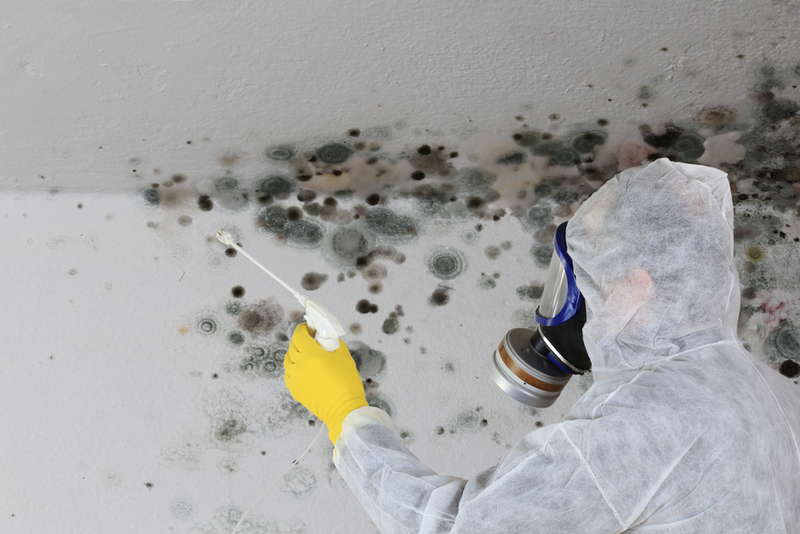 This type of mould releases mycotoxins, causing deadly health problems. Asthma attacks, fatigue and depression are just some health problems caused by exposure to stachybotrus atra. How can toxic mould affect my health? The spores released by mould are tiny enough to be inhaled and transported to various parts of your internal system – including the lungs, brain, sinuses and gut. After a period of time, spores can colonise in these areas, causing a variety of health issues. What are the symptoms of toxic mould illness? Due to the number of variables involved, there’s a long list of symptoms related to mould illnesses. Some range from mild to serious. It may be worth keeping track of your symptoms and seeing whether you display more than one. How serious is the impact on my health? Healthy adults with a strong immune system may only exhibit the minor symptoms of mould-related illness. The real danger is posed to those who aren’t as healthy. What are the long-term effects on my health? The first thing you should be doing is visiting a doctor to treat your existing symptoms. You should remove yourself from the contaminated environment and make everyone in your home or workplace aware of the mould infestation. You should also try to block off the affected area to ensure no one else is exposed. If you believe your symptoms have been caused by exposure to mould, you should eradicate the toxic infestation immediately. How do I prevent mould from growing? How do I clean toxic mould? Unfortunately, there is no supermarket-bought cleaning product that can eradicate the mould infestation. While some may be able to remove the appearance of mould, household cleaner simply cannot kill airborne mould spores. You should be extremely careful if you attempt to clean up mould. People who are susceptible to symptoms, as well as pregnant women, should be far from the affected site, as cleaning can flick even more spores into the air. This can make the problem even worse. It is better to avoid this risk of further damage. You should look into getting the site assessed by a professional who can remove the mould, rather than attempting the job yourself. Should I book a professional site assessment? Environmental consultants can conduct mould tests for your home. Mould test reports can reveal the type of mould you’re dealing with by testing the spores in the air. This will give you a clear understanding of the severity of the situation. At Alpha Environmental, we are experts in mould testing. Our environmental consultants based in Melbourne offer a range of services to help you get rid of your mould infestation. Not only do we offer tests for types of mould, but we can also assess the site’s history and offer answers for why the mould might be growing there. We can then devise a mould remediation strategy with post remediation verification. Additionally, we can offer advice on future prevention that is tailored to your site, whether it’s your home or workplace. Contact an environmental consultant at Alpha Environmental today for an obligation-free quote!